I received an email today from someone who downloaded my SCCM Health Check Script 3.5. He asked me if I can help to modify the script to only display Site Systems and Components status. I thought this can be easily achieved by creating few simple reports inside SCCM. 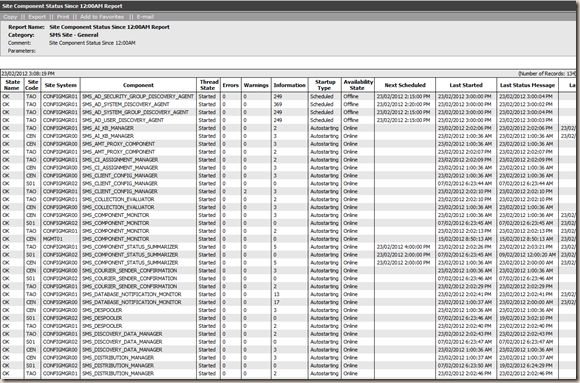 If you are running SCCM 2007 R3 and have Reporting Service Point configured, you can publish these reports to SQL Reporting Services and create some schedules to email out daily. 2. 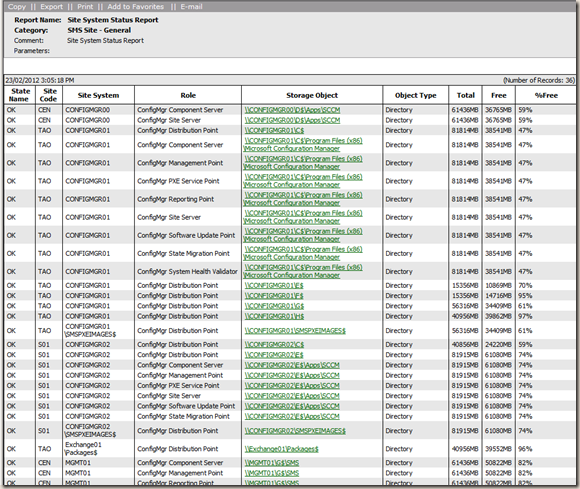 Site System Status Report – Provides same information as what shows under Site System Status in SCCM console. I’ve exported these reports into a .mof file, which can be downloaded HERE. Anyway you can add the DNS parts from your powershell script in this SQL report? Nice work Tao! 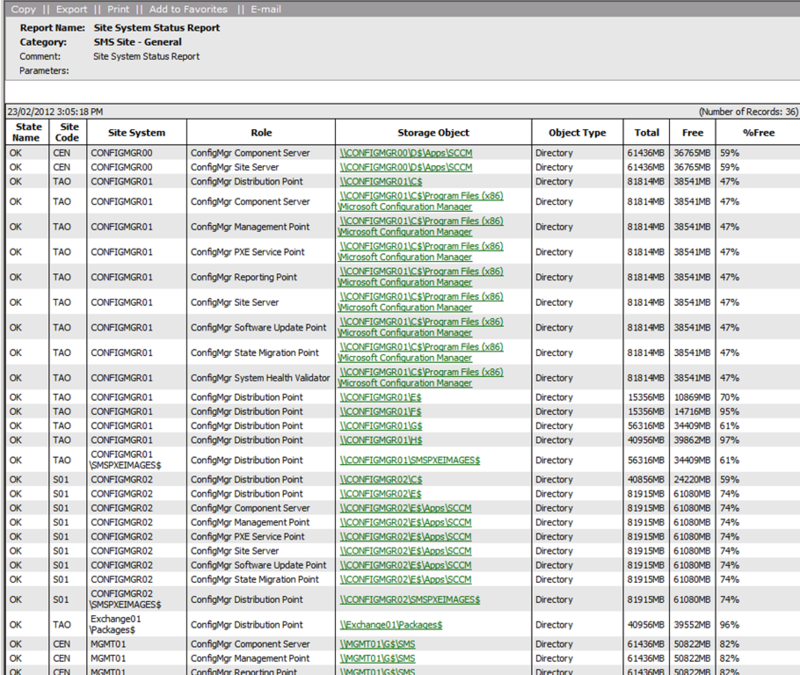 I got all of your reports working in my environment. I am trying to figure out now for the component status, if it is OK to change report font for ‘OK’ Value to GREEN and if ‘Not OK’ highlight or font in RED. Any idea to change the colors in the report based on the returned value? It will help those that the report is going to. Can you share the powershell script for the “Site Components Status” as it is which is showing in your console?